Tourism has been found to be the number one industry in many countries and has been a driving force for economic growth. Tourism in China has greatly expanded over the last few decades. The emergence of a newly rich middle class and an easing of restrictions on movement by the Chinese authorities are both fueling this travel boom. China has become one of the most-watched and hottest outbound tourist markets around the world. It has been estimated that at least 1.3 billion Chinese need a place to go for entertainment with the increasingly growing of their income (Investors ride China’s theme park craze 2006) In 2006, according to the UNWTO, China received 49.6 million international visitors, making it the fourth most visited countries in the world (Lu 2006). According to the National Tourism administration of China, China would be the world’s number one tourism destination and the fourth-largest nation for tourist departures by 2020(ibid). Cultural heritage tourism is the most important category in China’s tourism industry since China has a vast land and five-thousand-year history. And due to the economic and cultural competition among cities all over china, ancient town tourism becomes useful tool to attract invests and create wealth for local government. According to Hu (2005), ancient villages refer to “preserve the rich heritage and of great historical value special or commemorative significance of the Revolutionary towns and villages.” He further argues that accompanied socio-economic and cultural development, protection of ancient towns is an important part of China (ibid). First of all, this essay will discuss general benefits in economy and culture and challenges of developing cultural heritage tourism. The next part is brief introduction of ancient town tourism market in China. Finally, with the reference of Cicheng Ancient County and the City of Tien-kung DIY theme park, I will apply the theory of global city brought up by Sassen to examine its position in whole market and discuss the possibility to succeed in the future. National Trust for Historic Preservation defines it as “traveling to experience the places, artifacts, and activities that authentically represent the stories and people of the past and present.”(Hargrove 2002)The value of cultural heritage tourism surpass the entertainment, it owns both economic and cultural benefits and meanings for the local government and people. Tourism is a powerful economic development tool. Tourism creates jobs, provides new business opportunities and strengthens local economies. When cultural heritage tourism development is done right (Hargrove 2002), it also helps to protect our nation’s natural and cultural treasures and improve the quality of life for residents and visitors alike. A well-managed tourism program improves the quality of life as residents take advantage of the services and attractions tourism adds. It promotes community pride, which grows as people work together to develop a thriving tourist industry. In addition, it provide authentic environment for people to experience culture and history. It also creates new opportunities for tourists to gain an understanding of an unfamiliar place, people or time (ibid). On the other hand, cultural heritage tourism also provides challenge and problems. One is the protection of original, when a community’s heritage is the substance of what it offers visitors, protecting that heritage is essential. So a major challenge in cultural heritage tourism programs is ensuring that increased tourism does not destroy the very qualities that attract visitors in the first place. Because tourism is a highly sophisticated, fast-changing industry, it presents its own challenges. Moreover, tourism demands infrastructure for tourists, such as roads, airports, water supplies, restaurants, resorts and so on. These deeds deprive the rights and living space of locals and most benefits have taken by the big investors not for locals. As the popularity of heritage tourism grows, so does the competition. According to Kearns and Philo (1993), there are three main connected elements to consider the competition of cities, culture, history and capital. The cultural and historic resource is the most superior advantage and priceless asset to gain attractions. With the 5000-thousand-year history context, there are over two hundred old towns with thousands history around China. Every local government invests enormous capital for developing variously characteristic theme of ancient town tourism to rival the priority since they have been aware that ancient town is a potential business. The competition of ancient town tour has reached the climax. According to Sassen’s notion of global city (2001), the specialized difference is the key point to posit a city in the global economy at present. The specialized contribution and function include culture, economy or politic is the foundation of a city to have its own status or market in global economy (Sassen 2001). This notion is also valid to apply for examining Cicheng’s position and opportunity in the whole tourism industry of China. Due to Shanghai 2010Expo is coming next, it is officially estimated that over 70 million foreign and domestic tourists will attend this mega-event Expo. About 35% will stay is Yangzi River Delta for sightseeing. Zhejiang province will be the main destination to attract 90 percentages of visitors (ibid). 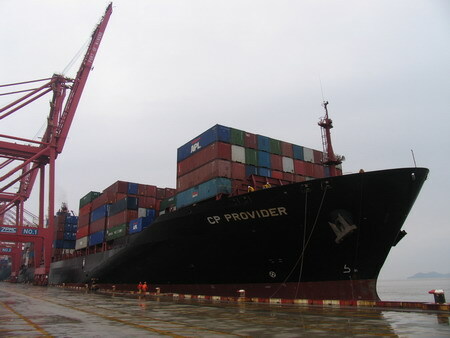 In fact, Cicheng is the first destination from Shanghai to Ningbo through the Hangzhou Bay Bridge. The subordinate status is a severe challenge for Ningbo. 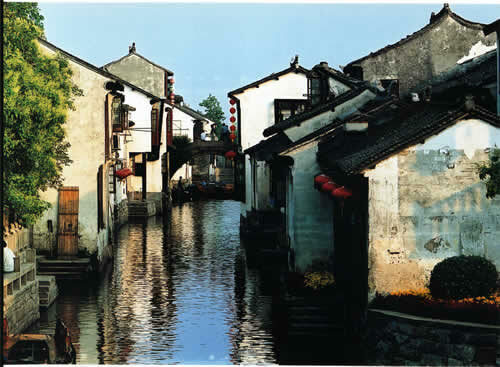 Moreover, it is the unarguable truth that the awareness and popularity of Cicheng is less than other ancient towns in Zhejiang province such as Xitang and Wuzhen. To counter increased competition and manufactured heritage experiences, destinations join together to create theme tours and trails (Margrove 2002).Tourism Research Centre of Chinese Academy of Social Science chairman, Hong Chinhua says that handicraft, real estate, film industries and so on can increase the finical income, enhance the attraction of ancient tourism and also provide more employments for locals (From tourism transit to casual, what should Shanghai develop ancient town tour 2006). In Cicheng, the planners and marketers meditate combining the nostalgic aura and the first one DIY, “do it by your self”, handicraft theme park to create its own specialized difference. There have been several international DIY industries companies entered the City of Tien-kung, include famous transnational cross stitch company DMC, the biggest sewing machine’s factory in China, a professional arts pigment company from French and clothing handicraft company fro Taiwan. Besides, there have been over 10 DIY studios such as poetry, candles, homemade dolls, paintings. For Mr. Huang, handicraft is the accumulation of the human race’s culture and civilization (Huang 2009). Tourists visiting Cicheng Ancient County and doing handcraft with their hands not only can experience the wisdom of ancestors but also can gain the feeling of achievement and stimulate the creativity. In fact, DIY theme park is a small part of whole plan and the alternative goal is to build up an only one and number one DIY creative industry cluster in China. Ningbo is the foundation of manufactory, but lacks the capacity of creative innovation. The concept of DIY is not only for attracting tourists, but also has been planned to build as a design and creative cluster of Chinese traditional handicrafts and culture. The main planner Xing Ping says, “The circumstance and condition of Ningbo is different from others, it is impossible to duplicate the model from Beijing or Shanghai (Xing 2009). The strength of Ningbo is manufacturing technique and experience. To combine creative industry and manufactory is beneficial for both sides.” (ibid) And Mr. Huang posits that it is designed as a specialist service plat form for integrating resources and knowledge to provide various infrastructures and equipments (Huang 2009). Keane (2009) mentions the general phenomenon of domestic manufactories in China which the profits usually go overseas. The author of “Creative Industries are changing China”, Li Wuwei says,” they eat the meat and we have the bone. They eat the rice and we the husk.” (Keane 2009) It is a pertinent description of the same thought for all traditional manufactories’ entrepreneurs. Many local and domestic manufactories are now realizing the bottleneck of improvement and the value of creativity, especially after the financial crisis. An owner of loofah company, Mr. Fei says, “We think about the transition of our business after the global economic crisis. We want to improve products from cleanser materials to a healthy brand.” Upgrading image and building up brands is their same aspiration and this is the reason to think about join the development of DIY industry. With increasing income of Chinese people, domestic tourism becomes a potential and productive industry, and cultural heritage and ancient town tour is becoming an emerging market. Developing heritage tourism indeed can bring enormous economic effect to locals, improve the living quality and provide education function. However, excessive development will bring unexpected challenge and problem. Tourism Demands related basic infrastructure and this become the burden of environment. Therefore, protection is the first priority for driving cultural heritage economy. Form now on, the city of Tien-Kung still is an imaginary city, but those participants seem very confident about this project. However, it is worthy to notice that market-orientate of tourism might cause heritage losing the original appearance and aura. To keep the balance of development and protection is an unavoidable mission. In addition, except for the City of Tien-kung in Cicheng, only in the Jiangbei district, there are other creative clusters: the Jiangbei Wealthy Creative Port, the 134 creative valley, and the 1842 Old Bund (DIY fashion and an ancient town 2009). In the context of socialism, the government policy still plays a crucial role to plan and administrate a big development project in. We can see ambition and intention, but willing power and determination to put into practice is the key to succeed. 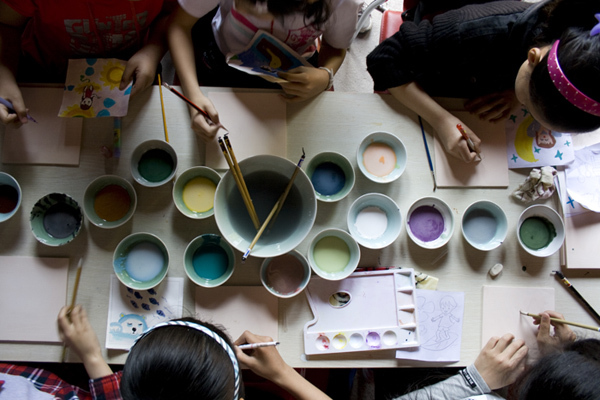 Except for the construction of creative industry clusters, training and education program is a crucial issue for Ningbo government to develop creative industry. Huang Lu. (2006), the Future of Tourism: Cultural Heritage Tourism in Guangdong, Auckland University of technology. After the fieldwork of the port, it is proved again that the spectacle and surveillance society coexist everywhere in modern society.According to Debord’s concept, this world is shaped by the images of mere represtations.In the the stock place of cargo, we see the variety logos of containers from the globe. These logos presnt the choices of the shipment in the whole world. On the other hand, we also meet the officials who work in the port in charge of coast guard. According to Foucault’s notion of the Panopticon, we live in the society of surveillance. Everyone is constantly visible and controlled by invisible power. Everthing imported has to register and get permission. Everyone needs to get the visa to acorss the border and is traced permnanently. According to Sassen (1991, 1994), the theory of “global city” means that the new role of the city in the global economy and defines a city in terms of the strategy function and the connection in the world network. Sassen also mentions about the reason of the phenomenon of increasing clusters in this connected digital world. The answer is specialized function. For example, over 40 percent of Fortune 500 companies have their headquarters in New York City. A lot of these firms are not in New York and over 60 percent of their revenue in overseas sales. This is not only in terms of the design-oriented manufacturing, but also in terms of highly specialized services, such as financial, accounting, design and management consulting and so on. Base on this theory to examine the fieldwork in Cicheng, we also can see the same situation. The local government uses the history of 1000 years and ancient architectures in this old town and also inivite specialized consultant to provide the local companies the new opportunity to created new business. They tried to integrate the local heritage and the resources of traditional industries to build up a theme economy of DIY and new brand image for both of them. A new theme cluster is constructing. My essay question is ” Evaluation of the combination of creative industry and tourism: The case study of ‘C.C City DIY Studio’ in Ningbo. ” C.C City DIY Studio is the first DIY theme park in China which combined tourism, handicraft design and education. 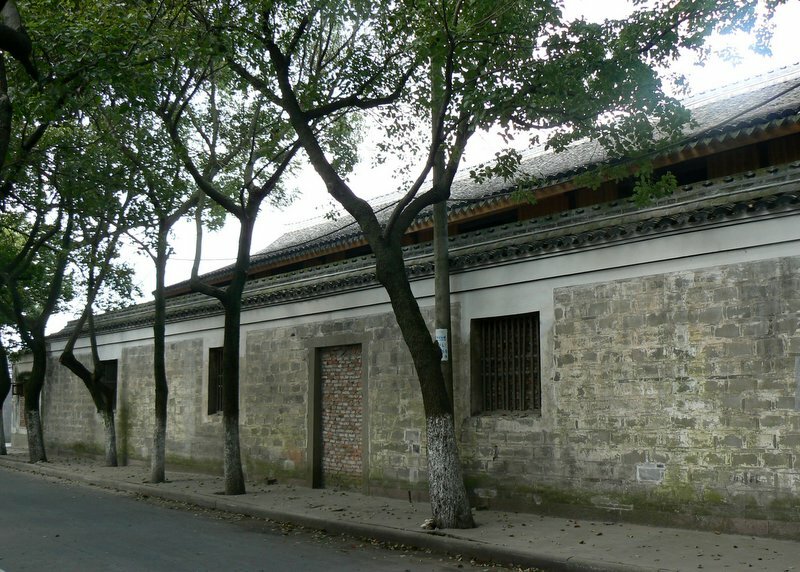 It is located in Ci Cheng Town which is the most ancient in Ningbo. This essay will apply Sassen ‘s theory of ” global city” to examine it is professional differentiation of Ningbo as a second tier city in national scale or global scale.